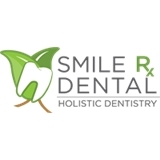 Smile Rx Dental (Bowie) - Book Appointment Online! At Smile Rx Dental, we are committed to providing quality, gentle treatment for the whole family in a comfortable environment. Our office is newly renovated and includes many amenities to make your visit enjoyable. Dr Khan takes time to listen, educate and care for every patient. You will leave here with a personalized prescription for your optimal dental health. We offer all traditional dentistry for the family starting at age one, along with holistic dental options. We are mercury free, follow safe amalgam removal protocols, lowest radiation digital x rays, metal free tooth replacement options, clear aligners, herbal cleanings and fluoride free options.